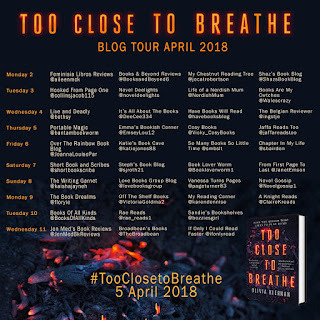 Today is my stop on the blog tour for Too Close To Breathe by Olivia Kiernan, can we just take a wee minute to look at that book cover! DCS Frankie Sheehan is back on the job after a horrifying attack, we don't know what exactly happened, the information is teased out as the story develops. An apparent suicide, Sheehan sees it for what it is, she is a hot shot profiler don't you know and calls it murder. As the investigation goes underway the clues lead them toward the dark web, dangerous fantasies and reluctant or missing witnesses. 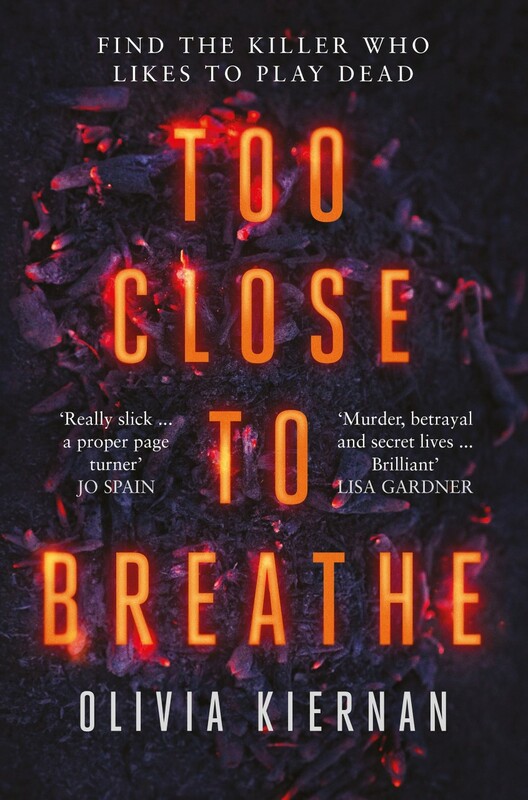 A high profile case is hard enough, fling into the mix personal demons, secrets and lies plus all the usual stresses in a police team you find yourself quickly hooked! 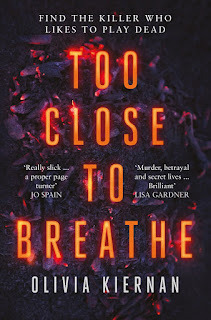 I can honestly say picking this up you wouldn't think it was a debut and I would actually like to see the author pen a prequel. Whilst we get a lot of answers by the end of the story I think it would be nice to get a fuller picture of Sheehan, damaged cops are a recurrent theme in many books although Sheehan is feisty and on point, a look at her back story would be great. There is a lot of swearing, death, dark themes, suspense and the author keeps you guessing as to the who and why. Some of the dialogue between the characters was fantastic and witty, the pace keeps you gripped from the opening page. It is a busy book, focus on police procedure as they tackle the case but not so much that it affects the pace. We have threads of Sheehan dealing with her recent past, being back on the team, the suspects and witnesses interwoven through the investigation. I think Kiernan has carved out a great beginning for what I hope will turn into a series and look forward to hearing more about Sheehan. 4/5 for me this time, thanks to the publisher and Anne for sending me a copy. 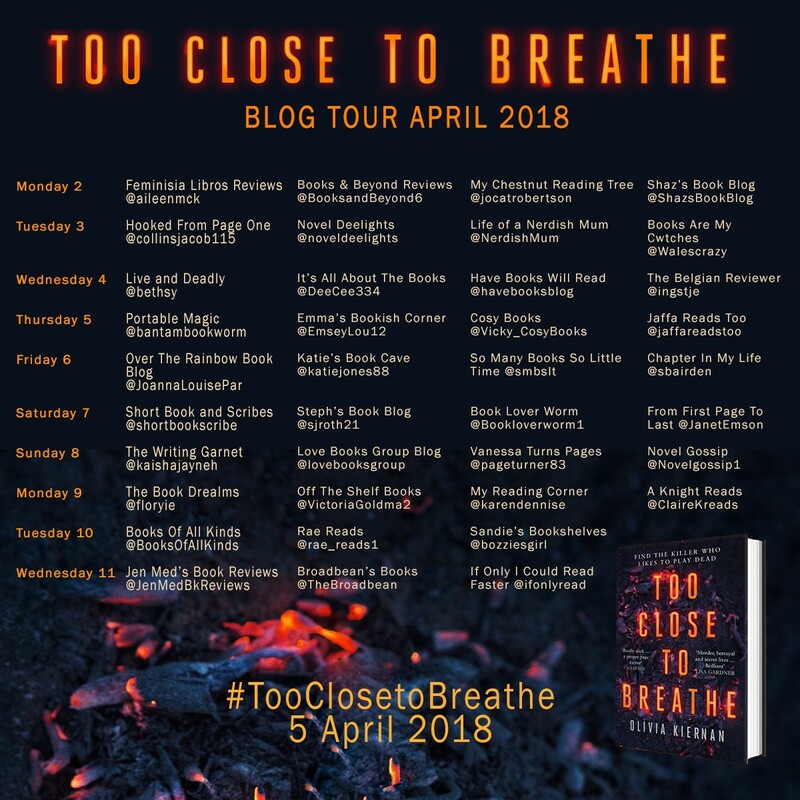 Please check out the other stops on the blog tour, each blogger features different content and always worth checking out.